Home located in City Beautiful, Coral Gables. Two bedrooms, one bath with nice size yard with room for pool. Home has brand new flat tile roof, impact windows and doors, original oak wood floors in excellent condition, kitchen and bath remodeled a few years ago, freshly painted inside & out, gas waster heater, one car garage, washer & dryer, nice size wood deck to enjoy your morning coffee. Few step to Miracle Mile restaurants and shops and Coral Gables Hospital. Minutes to Village of Merrick Park, Coconut Grove, University of Miami, and 15 minutes to beach. Live in the center of top world class arts and entertainment Miami has to offer. Easy to show. Move in ready. 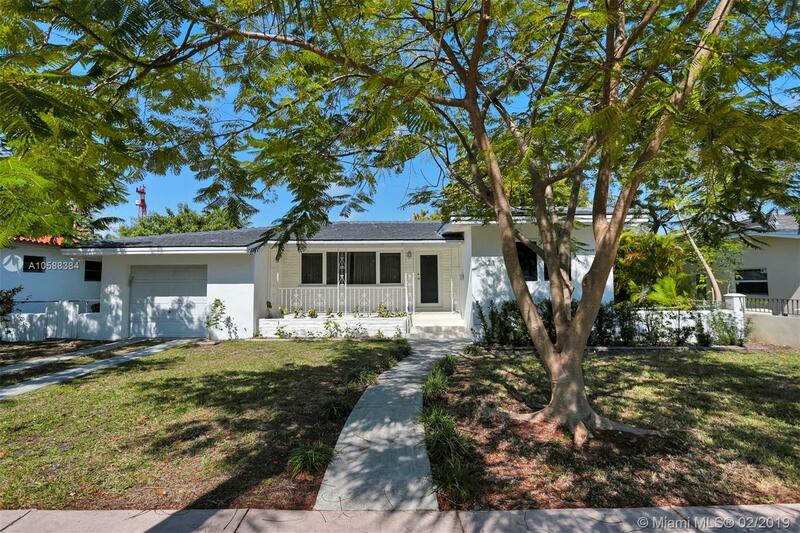 Lowest priced remodeled home in Gables!